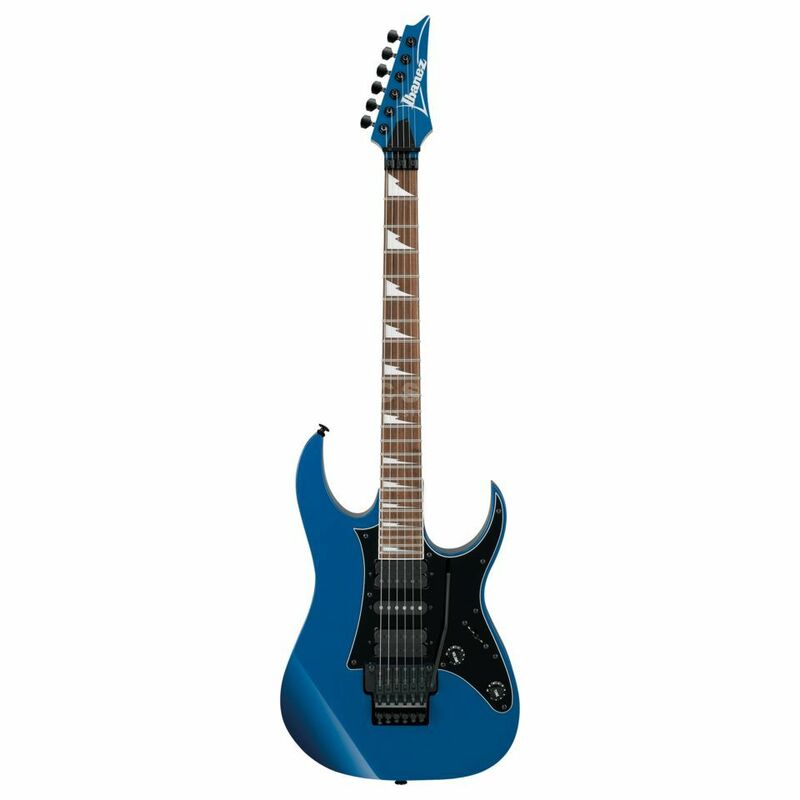 The Ibanez RG550DX-LB Genesis (Laser Blue) returns to the roots of the RG from 1987. Classic shaping authentically reproduces the famous Super Strats of the Japanese guitar maker, while authentic hardware in the form of Ibanez V7/V8 pick-ups, Ibanez Edge tremolo and slim Super Wizard Maple necks provide juicy sounds and proven handling. The RG550DX is the authentic recreation of the 1987 RG550. 2x Ibanez V7/V8 humbuckers and an S1 single coil form the pick-up configuration, while the then newly introduced Ibanez Edge tremolo system with locking saddle is used. The 5-stripe maple neck in the Super Wizard profile ultimately ensures proven lean RG handling.